Double-sided 20” x 30” poster display. 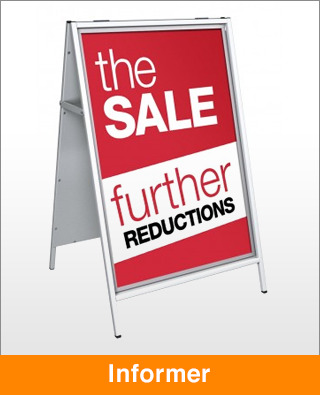 Anti-glare PET poster covers with magnetic seals – excellent poster security and weather resistance. Simply push poster cover out of frame via hidden release hole in back panel. Supplied with 2 full colour, high quality encapsulated posters.